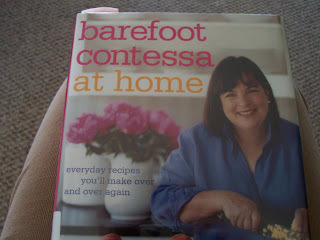 Yep, I'm reading a cookbook. It has very pretty pictures. And, she seems to like mayonaisse and onions as much as I do.